Craig and Joel have been busy today loading the truck. 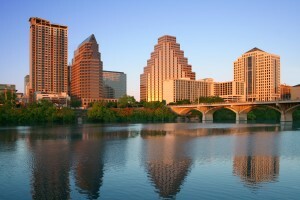 NEXUS is heading to the symphony in Austin, Texas and coming home via Shenandoah Conservatory in Winchester, Virginia. Think about this for a minute. The NEXUS instruments are snugged into their crates and trunks in the storage pod, and the Shenandoah solo program instruments have to come out of there, and go into the truck first, because they come out last. Meanwhile, the concerto instruments including those magnificent chimes and banners, have to go into the truck last, because they come out first! Kind of like Trucking Tetris! Up here in Toronto, Canada, we are experiencing a very cold week and a pile of snow on the ground – winter’s last “hurrah”. No better time for heading for the sunny south. Safe journey!